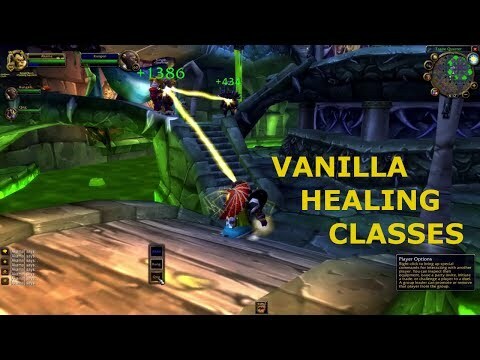 Which Healing Class Should You Play In Vanilla World Of Warcraft? If you are just starting out on a Vanilla WoW private server and are thinking of rolling a healing class, this video will help you decide which to pick by giving you a brief overview of each class’ play style. Because of the seemingly simple task of keeping the raid members’ health bars full, some people would suggest that healing is monotonous at best, or even downright boring. In this video I hope to convince you that this is not true, and give you the information you need to pick the most interesting class for your Vanilla experience.